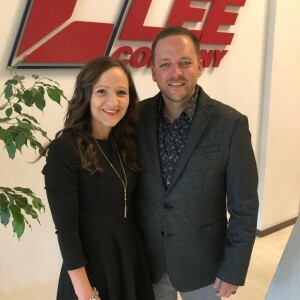 Kyle Froman is a chaplain for Lee Company, serving their 1,200 team members in Middle Tennessee, Northern Alabama and Southern Kentucky. Prior to Lee Company, Kyle was a Chaplain with Motor Racing Outreach serving the NASCAR Camping World Truck Series community. Kyle also served as the director of the MRO Association, a nationwide network of associate chaplains serving various motor sports communities around the nation. Kyle began his Chaplaincy tenure with Motor Racing Outreach in 2004 as a volunteer associate Chaplain serving at Nashville Fairgrounds Speedway before joining MRO’s staff in 2011. During his time with MRO he also served the NASCAR Autozone Elite Southeast Series and the NASCAR Whelen Southern Modified Tour. Kyle is a graduate of Trevecca Nazarene University in Nashville, Tennessee where he majored in Business Administration. With a varied background in design, marketing, artist management and product management, Kyle continues to be a tentmaker in travel and speaking industries. 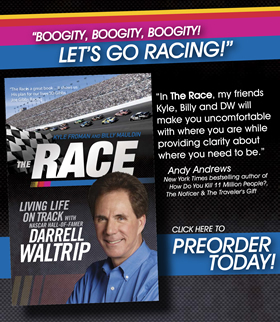 Additionally, Kyle is the co-author of “The Race: Living Life on Track” with NASCAR Hall of Famer Darrell Waltrip and MRO’s President Billy Mauldin. Kyle and Michelle, along with their two children, currently reside in Spring Hill, Tennessee. Connect with Kyle on twitter at @realkfro!